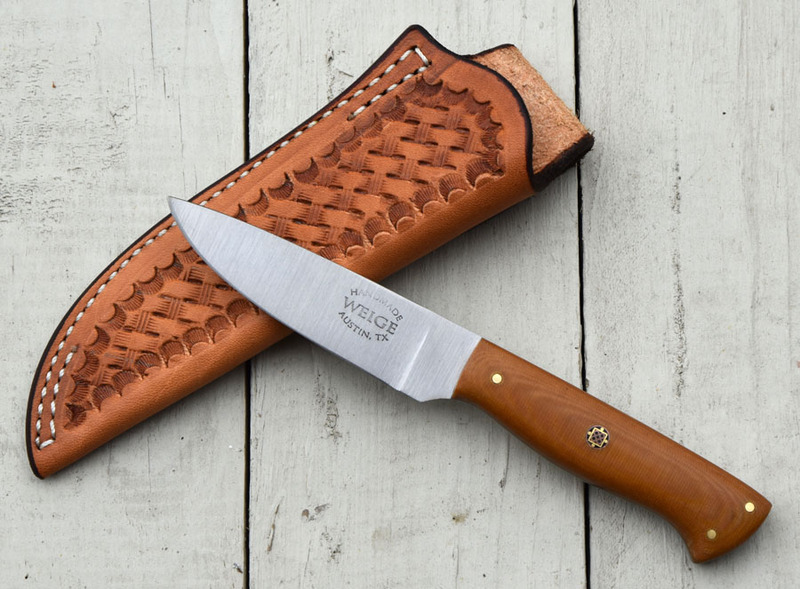 One of a kind hiking knife in S35VN American made stainless. 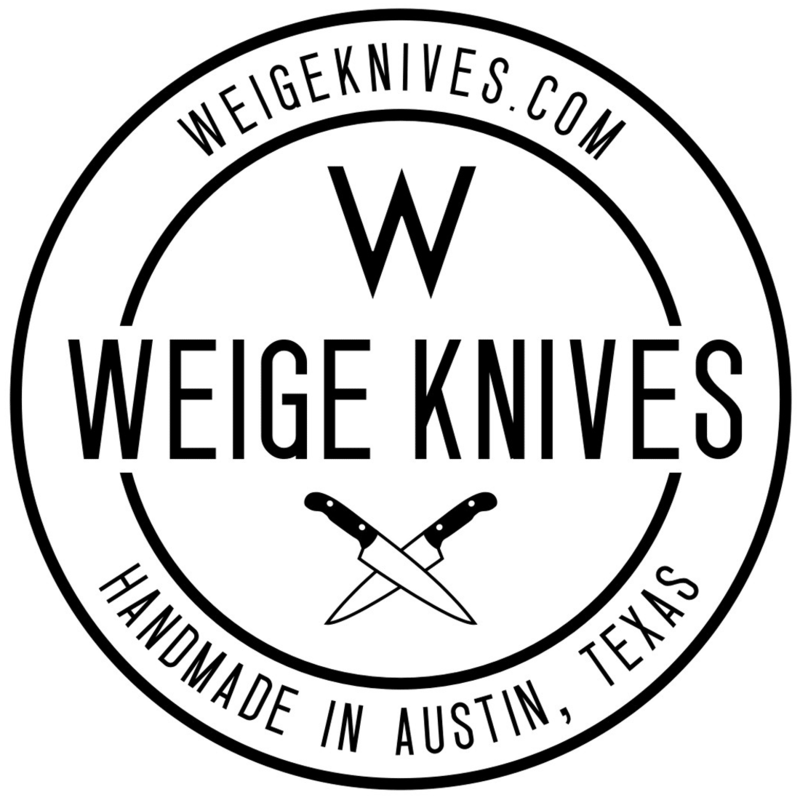 Classified as an American super steel designed for high end cutlery as it holds and edge longer. 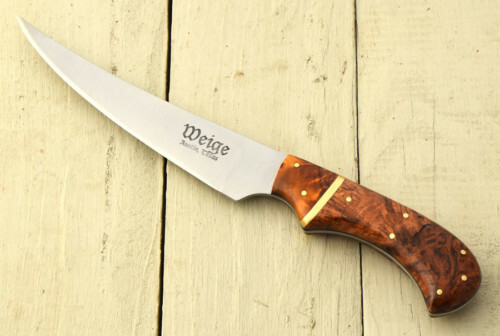 The blade is just over 3″ w/ an overall length of 7″. 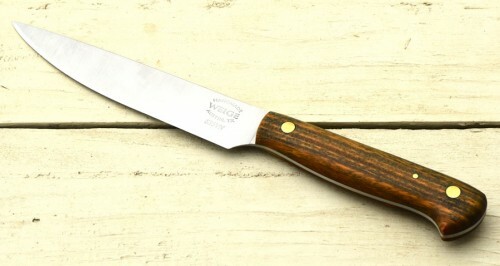 Great for everyday use, hiking or use it as a paring knife in the kitchen. The handle is done in durable yellow ocher linen micarta. The pins are solid brass w/ a center handmade mosaic pin made by Sally Martin in Williams, OR. The sheath is a custom made leather belt sheath handmade by Rowe Leather in Hope, AR. 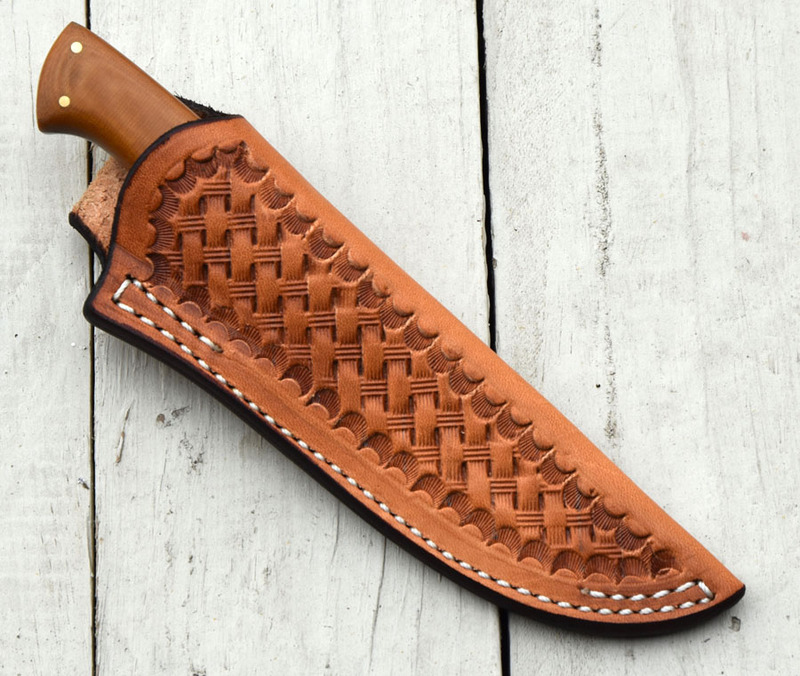 The pattern is hand tooled basket weave. Free shipping.